We buy your Fine China! 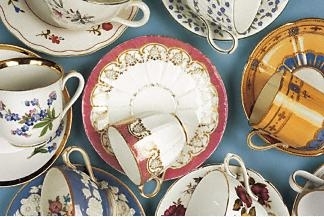 Is your tea set or dinner service too large and taking up space? Maybe you have accumulated a few odds and ends that you never use. Perhaps you have inherited a service or part service, that you dislike or don’t need. Many people give their unwanted china to others, or worse still, throw it away, not realizing that someone else maybe collecting those pieces. As a full service tea room, we are constantly on the hunt for tea cups and tea pots to supplement our inventory of chinaware. Upon a quick inspection, our buyer will offer you an amount for some or all of your pieces. Why not give us a call, you maybe pleasantly surprised.